Cheese and carbs are truly a match made in heaven. Add quick, easy, and Italian to the mix and boy do you have a winner! The classic Roman dish Cacio e Pepe, or pasta with cheese and pepper, is so simple, and yet so full of flavor. I recently started a new job (at Bon Appétit) so quick and easy was key for this week’s post. Alongside some roasted baby brussels sprouts and a light arugula salad, Cacio e Pepe was a perfect meal to prepare for friends after a busy work week. Since there are so few ingredients in this dish, I made sure to find the absolute BEST versions of what I needed. 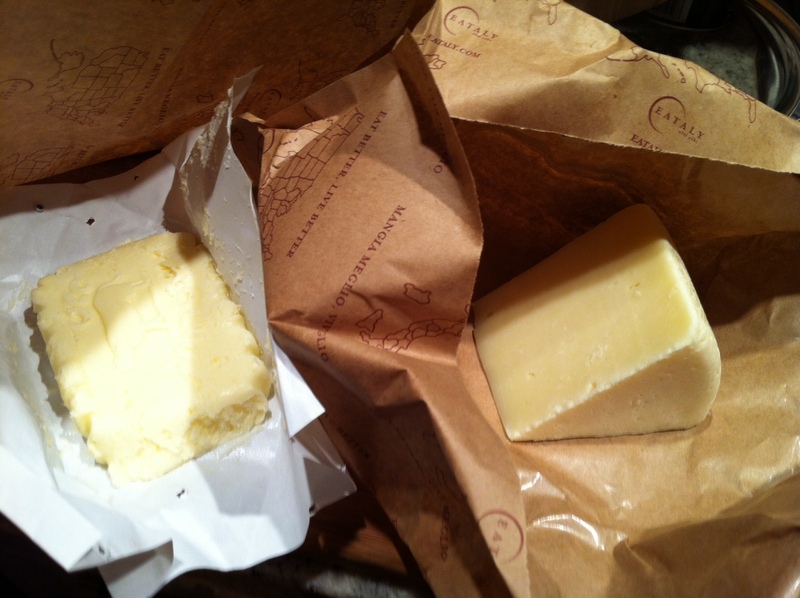 I hit Eataly and grabbed a pound of pasta alla chitarra, fresh local butter, and imported italian cheeses. Get a large pot of salted water heating up on the stove. In a large saucepan, melt the butter — to quote my girl Ina, “It may look like a lot, but it is the sauce for the whole dish.” Add the pepper and cook for a couple of minutes until it is fragrant. Get the pasta cooked, according to the package — for fresh pasta it is only a couple of minutes. 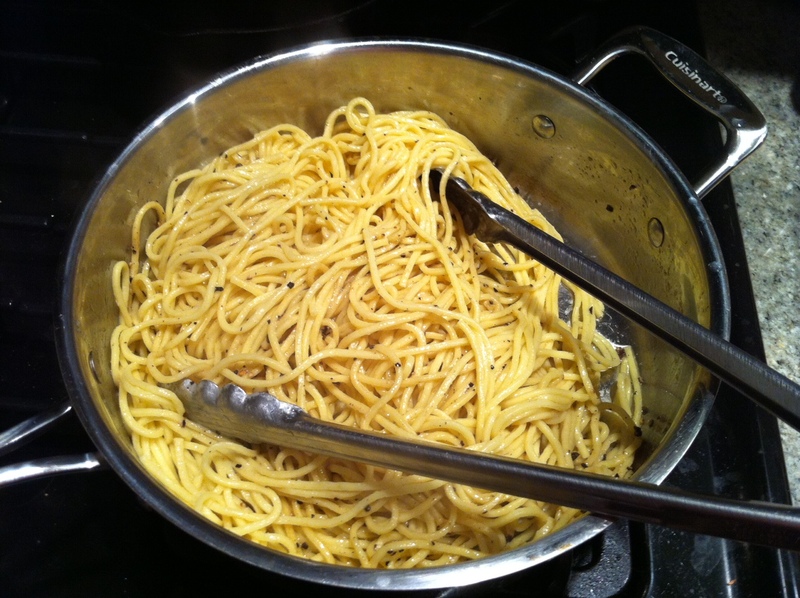 Drain the pasta, reserving a cup of pasta water for the sauce. 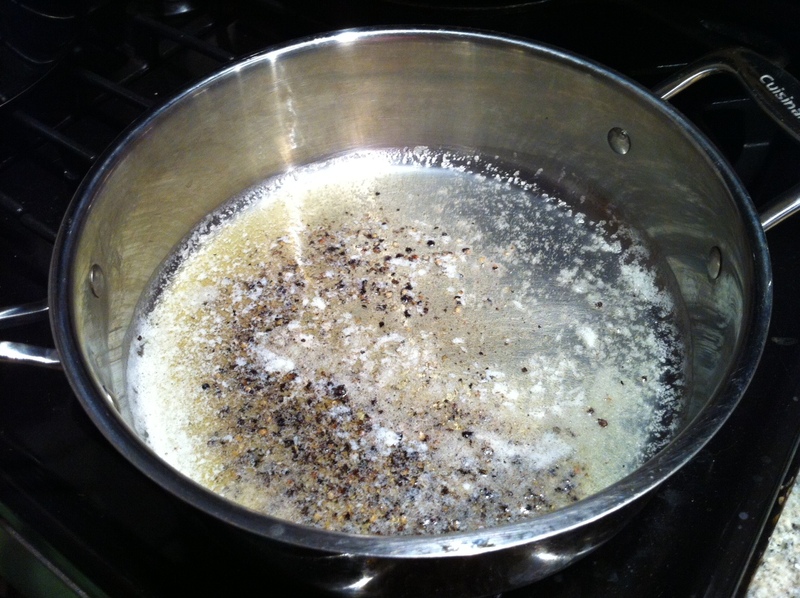 Add about half of the reserved pasta water to the butter and pepper, and bring to a simmer. Add the cooked pasta and toss until all of the pasta is coated. Off the heat, add the cheeses and toss together until combined — add more pasta water if the sauce seems too dry. Serve immediately, with more cheese on top if you like! Buon appetito! 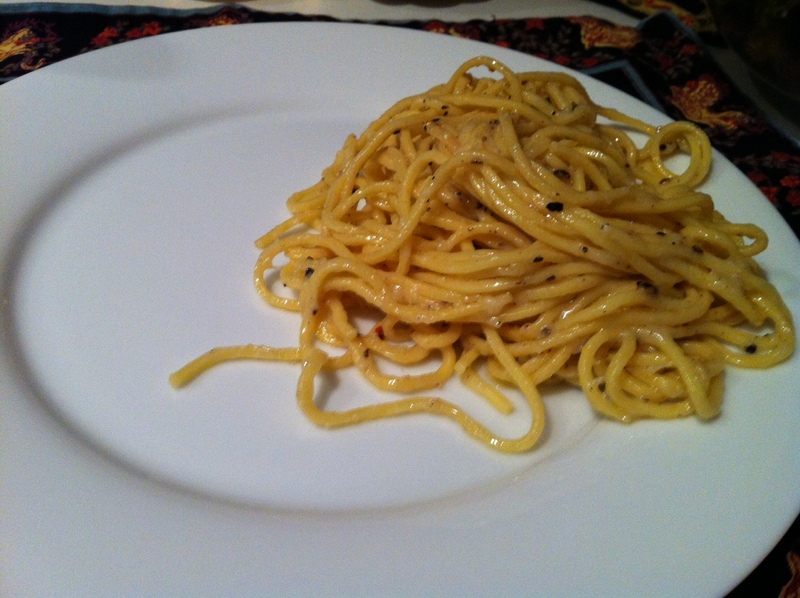 This entry was posted in Black Pepper and tagged butter, cacio e pepe, cheese, dinner, parmesan, pasta, pepper. Bookmark the permalink.